Americans are obsessed with maximizing time. For proof we need look no further than the plethora of fast food venues and drive-up windows we flood to on our way to and from work. 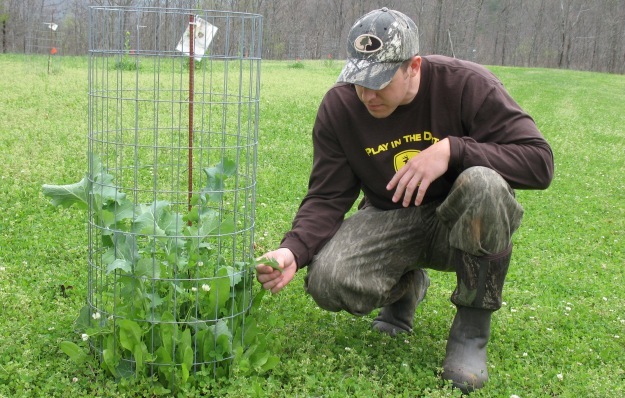 Food plots are another immensely popular trend nowadays, but a good many folks are discouraged from building them because of the time and effort involved. Imagine if someone could find a way to build a fast food plot. Someone has. While I don’t know if he actually invented the concept, wildlife planting pioneer Dr. Grant Woods has become something of a Ray Kroc of food plots by promoting what he calls "hidey-hole" plots. 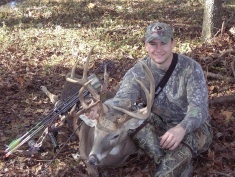 Using his tactics, any prospective plotter can buy all the materials they need at the local feed store for under $50, carry it into the woods on their back or ATV, and build a small food plot in under an hour. Even better, it will be ready to hunt within a couple weeks. Here’s how. You should also look for a natural opening in the canopy. It’s critical to plant growth that there is enough sunlight reaching the forest floor. For obvious reasons, such spots are inclined to have more natural growth, which will require more prep work. But if you put the effort in you can usually find a good spot or two that won’t require too much time or effort to prepare. Begin by clearing the area with a backpack leaf blower, if you have one. If not, a rake and a little elbow grease will suffice. Then, simply spread your seed and fertilizer, by hand or with a hand-held spreader. Walk over the area a few times to tamp down the soil, which provides better seed to soil contact to enhance germination, then pray for rain. Amount of seed required depends on plot size. Woods generally figures on an area of 400 (20x20) square yards, which he says calls for one 50-pound bag of 19-19-19 fertilizer and three to four pounds of seed. For the latter, he recommends a fast-germinating, fast-growing seed blend. 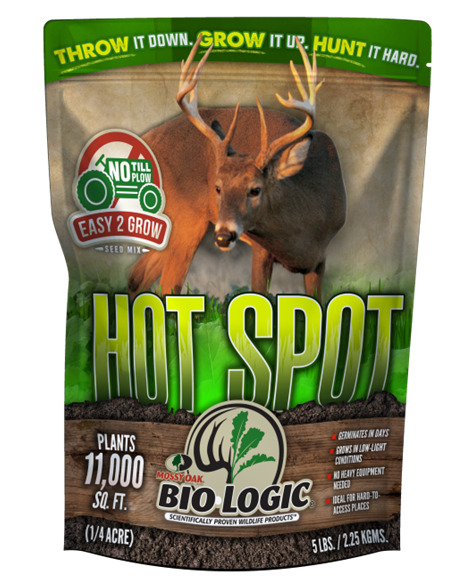 Mossy Oak BioLogic president Bobby Cole recommends Hot Spot, a blend designed precisely for that purpose, and advises using BioLogic, which contains lime to help spike the pH for better germination. He also recommends, and I concur, raking the leaf litter back and raking seed in for better contact and germination. For an added boost you can spray your plot with MEEN Green foliar fertilizer once the greens poke through. The whole process should take less than an hour, and given sufficient moisture, your plot should be ready to hunt within 2-3 weeks. Given that, you don’t want to plant too early or the deer may flatten your plot before you ever get to hunt over it. With today’s ever-changing climates and rainfall often in short supply, it is very important for land managers to be prepared for the worst. 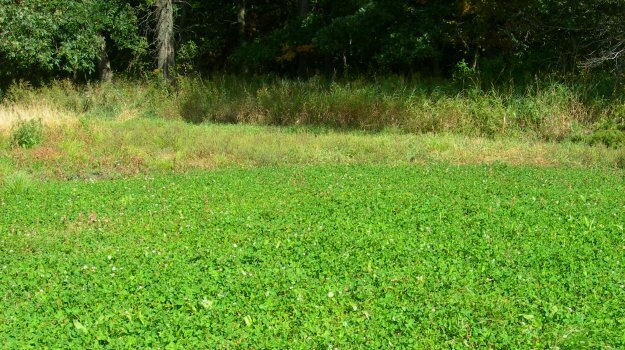 Certain steps can be taken during the hot, dry summer months to effectively maximize the production of your food plots even during drought conditions or periods of limited rainfall. Inadequate precipitation or droughts (especially during the summer months) can be detrimental to your food plots if you are not prepared. 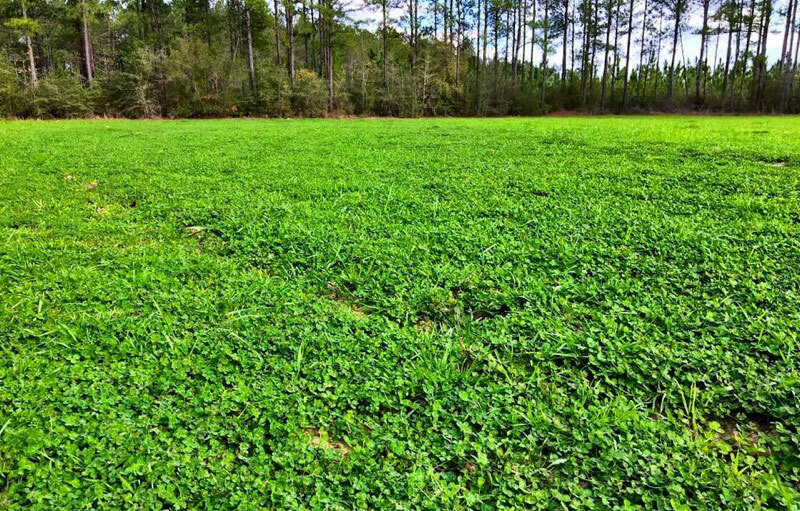 With proper liming, fertilizing, seed planting and weed control, a hunter can produce up to 10,000 pounds of digestible deer forage per food plot acre, per year---at a cost of between $250 to $500 per acre, according to agricultural experts. The average hardwoods acre, however, grows only 50 to 500 pounds of deer forage annually, including choice acorns from oaks. When embarking on the wilderness with the ambition of creating a successful food plot there are many obstacles. After entering the food plot world with zero farming experience several years ago, my brother and I have learned by making mistakes and adjusting. We have had great plans sketched on paper and pinned on maps go awry. 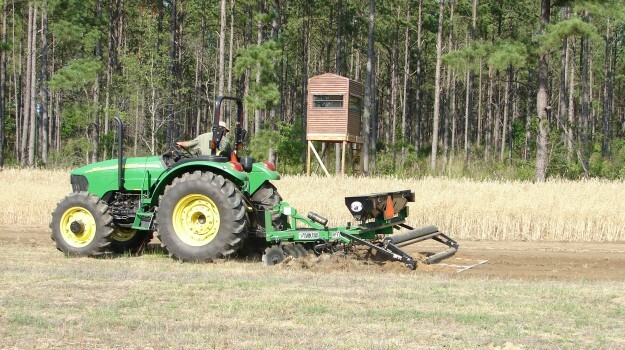 Hopefully our trial and error can help you mend your food plot predicaments.